Sussex Police has apologised to the family of Shana Grice, after her ex-boyfriend Michael Lane was convicted of her murder this afternoon (March 22). The jury at Lewes Crown Court heard how Miss Grice had contacted police in February 2016, reporting that she was being stalked by Lane. She told police he had damaged the car belonging to Shana and her boyfriend and police warned Lane to stay away from her. A month later, Miss Grice contacted police again, claiming Lane had assaulted her. But she was later fined for ‘wasting police time’ after failing to disclose she was in an ‘on-off relationship’ with Lane. Police said Lane was given a caution in July 2016 after he stole a key to the back door of Miss Grice’s home and stood in her bedroom for one minute at 6am the following morning. Later that month Shana reported receiving calls from a withheld number with heavy breathing, as well as being followed by Lane in his car while she was driving. It later emerged that Lane had fixed a tracking device to Miss Grice’s car. She was killed on August 25 2016. 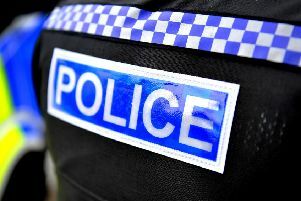 Sussex Police is being investigated by the Independent Police Complaints Commission (IPCC) over the case. Deputy Chief Constable Bernie O’Reilly said: “I would like to extend my sincere sympathies to the family and friends of Shana Grice, who was murdered by Michael Lane. “When we looked at the circumstances leading to Shana’s murder, we felt we may not have done the very best we could. “Within days of her murder I personally visited Shana’s family to apologise on behalf of Sussex Police and we made a referral to the IPCC. “The referral was specifically in relation to how we dealt with incidents involving Shana leading up to her murder. “Since then we have thoroughly reviewed all aspects of how we deal with cases of stalking and harassment and, working we partners, we have now taken on the learning and our approach is more robust.